Technology plays a key role in online shopping, where online retailers gain a greater understanding of their customers through data from their browsing and purchasing habits. Today, when consumers shop in brick-and-mortar stores, they expect the same personalized and responsive service. 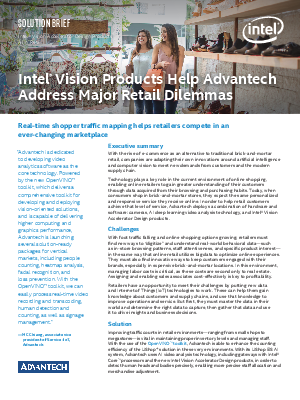 To help retailers achieve this level of service, a combination of hardware and software—Intel® Vision Accelerator Design products, cameras, AI deep learning video analysis technology— do the work for you.